saxophonists Tia Fuller and Leszek Możdżer, we are going to hear electronic and orchestral music, improvisation, as well as sounds from the edge of techno music. The project will be a melange of these seemingly distant styles, and the participating artists ensure that the listeners will be able to enjoy musical experiences at the highest level. Tia Fuller is a saxophone player (soprano and alto) as well as flautist, known for her collaboration with the outstanding r’n’b star Beyoncé. She performed during her worldwide tour – The Beyoncé Experience, she also appeared in several of the most important American TV shows and played with the singer at the White House for President Barack Obama. One could say that music flows in her veins – as a daughter of jazz musicians (her father, Fred is a double bass player, her mother Elthopia is a singer) she listened to her parents’ rehearsals and listened to their favourite artists: John Coltrane, Sarah Vaughn and Charlie Parker starting very early in her life. Fuller is often invited to collaborate with various music stars, such as Geri Allen, Chaka Khan, Jill Scott, JAY-Z, Pattie Labelle, Dionne Warwick, Erykah Badu and Aretha Franklin. She also played with the orchestra led by Jon Faddis, well-known to the audience of the 50th Jazz on the Odra Festival. She is a three-time winner of the Rising Star category in Down Beat’s critic survey – twice in 2013 as an alto saxophone player and a flautist, and in 2014 as a soprano saxophonist. 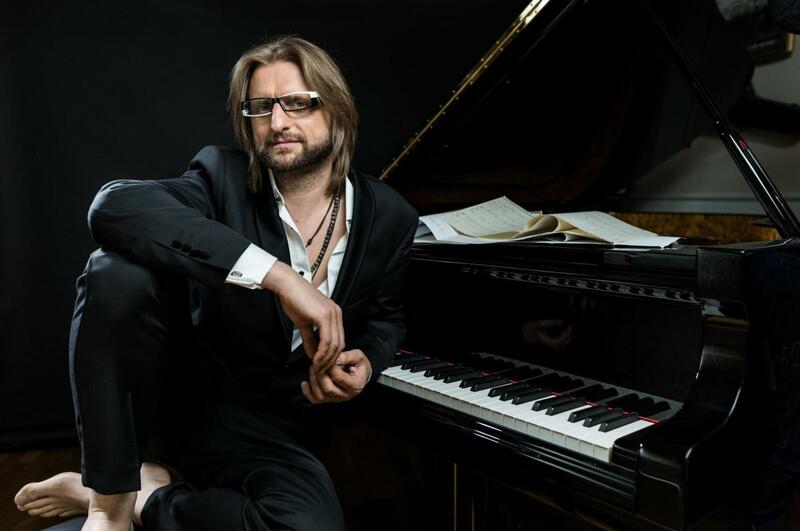 Leszek Możdżer is one of the most outstanding Polish jazz musicians, a world-class pianist, a courageous explorer and an original artist, distinguished by his own musical language. He recorded albums with the most outstanding Polish jazz musicians: Tomasz Stańko (Pożegnanie z Marią), Janusz Muniak (One And Four), Michał Urbaniak (Live In Holy City), Piotr Wojtasik (Lonely City, Quest with Billy Harper and Hope with Dave Liebman), Adam Pierończyk (Live In Sofia and 19-9-1999), Henryk Miśkiewicz (Ja nie chcę spać), Anna Maria Jopek (Bosa, Barefoot, Upojenie, Farat and more). He has also recorded with Zbigniew Preisner – his music can be heard on Requiem dla mojego przyjaciela and 10 łatwych utworów na fortepian. He has been also working for many years with Los Angeles-based composer Jan Kaczmarek, doing recordings for 20th Century Fox and Mira Max, including a recording of Academy Award-winning music for Finding Neverland. Santander Orchestra is a project aimed at the most talented young musicians, supporting the development of their careers. The participants not only hone their skills by training under the guidance of the best tutors and playing in a symphony orchestra led by world-renowned artists, but also gain practical knowledge about managing their careers in a way that will enable them to be successful in the world of music. Santander Orchestra is a symphony orchestra comprising some of the most talented musicians from all over Poland, who develop their skills under the guidance of outstanding conductors and tutors during rehearsals and concerts. It is a special opportunity for the artists to gain unique experience and try their hand at performances in front of a very large audience. The young artists give concerts at prestigious events, including Ludwig van Beethoven Easter Festival, as well as in the most modern concert halls in Poland. Apart from honing musical skills, Santander Orchestra enables young people to learn about public relations, social media, financial management and copyright – fields that are usually neglected in the curricula of music universities, which are crucial for everyone trying to make a career in music. Santander Orchestra is a brainchild of Santander Bank Polska and the MyWay foundation, that carry out the project with the support of Krzysztof Penderecki European Centre for Music. Since 2015, Santander Orchestra played several concerts conducted by Krzysztof Penderecki, John Axelrod, Jerzy Maksymiuk, José Maria Florêncio, Lawrence Foster and Marek Moś. In May 2019 the young musicians will perform in Madrid, just before the grand final of the UEFA Champions League under the baton of Adam Sztaba, and in autumn they will go on tour with Tia Fuller, Leszek Możdżer and Lars Danielsson.